Hey friends! Today I have a quick before and after for you and then you can go about your day as planned! 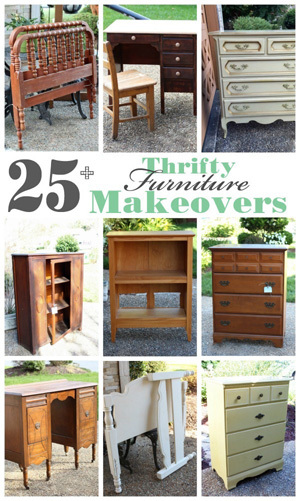 I needed a simple project after reupholstering two French Provincial Chairs nearly did me in! I picked up this beautiful blue called Sonata by Behr in a sample size to try it out, and I thought this was a perfect test piece for it. 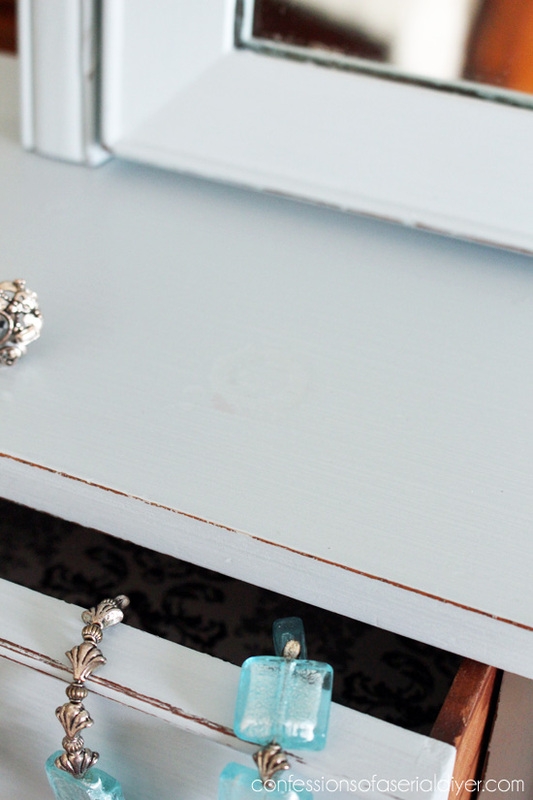 I made my DIY chalky paint with it of course. I used Annie Sloan clear wax to seal it. …or for tossing your make-up in. 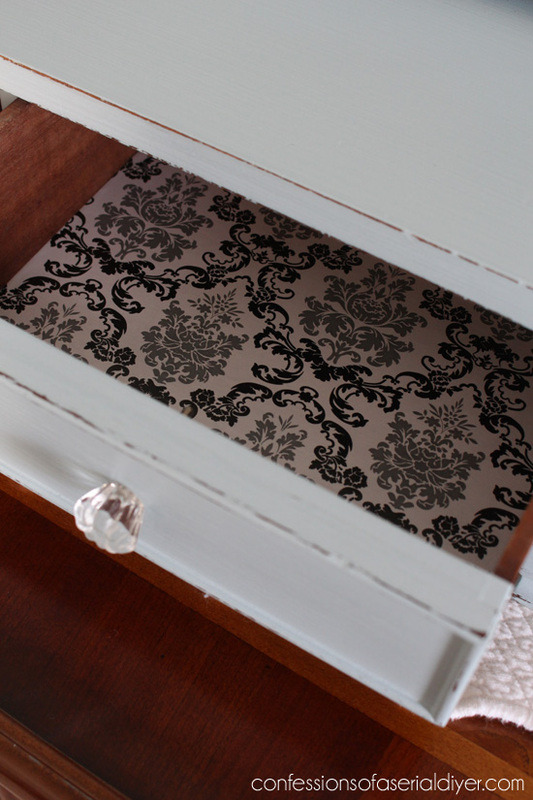 The drawers are lined with this pretty contact paper I’ve used on several pieces. This role is running dry very quickly. 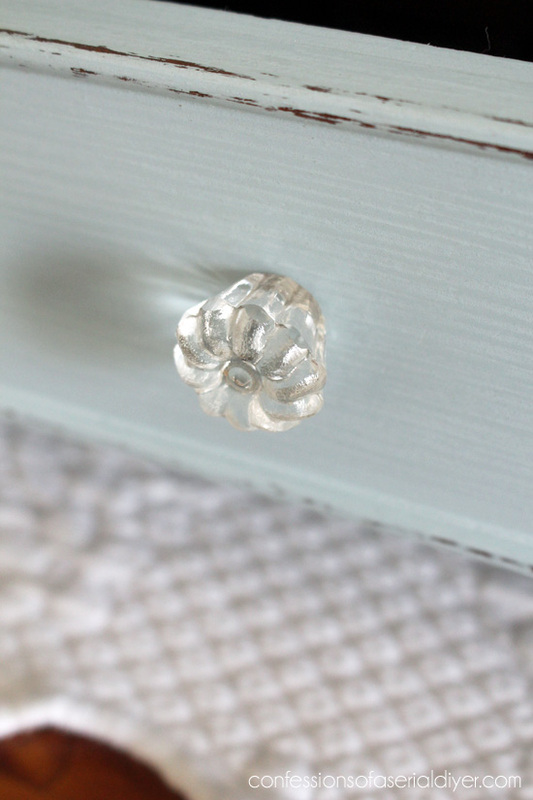 There was a ring in the top that didn’t quite go away with the new paint job, but those details are what give these older pieces a story. I replaced the original pulls with these dainty glass ones from Hobby Lobby. Who says blue can’t be pretty? Thanks for coming over! I’d love for you to stay a while. 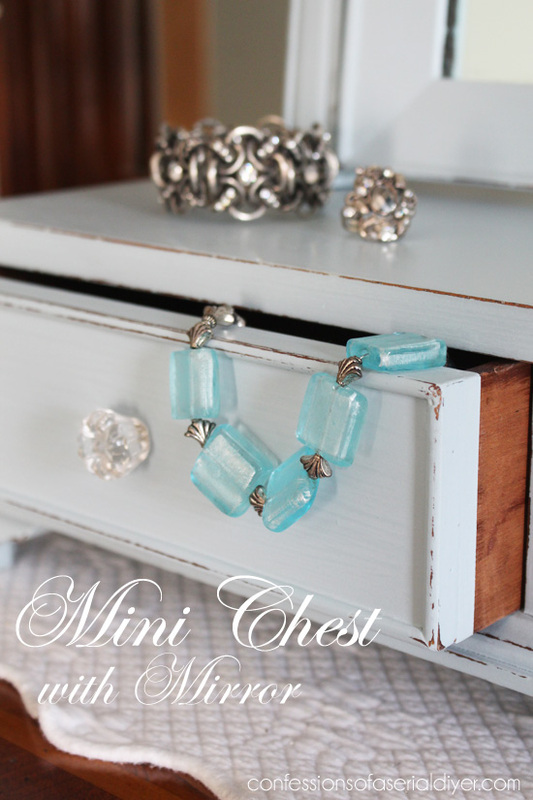 You can see more by checking out my DIY Project Gallery. 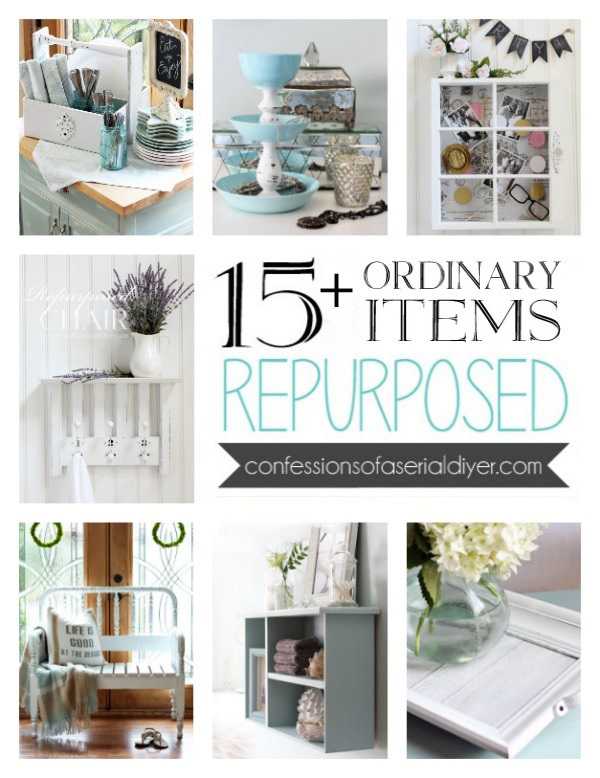 It has all of my projects in one place! What a sweet little piece! Good job!! I know, you are going to give away the chairs!! LOL Have a great day!! What a lovely piece! You may be interested to know that this is called a shaving mirror. Gentlemen would store their razors and other incidentals in the drawer and use the mirror for shaving. 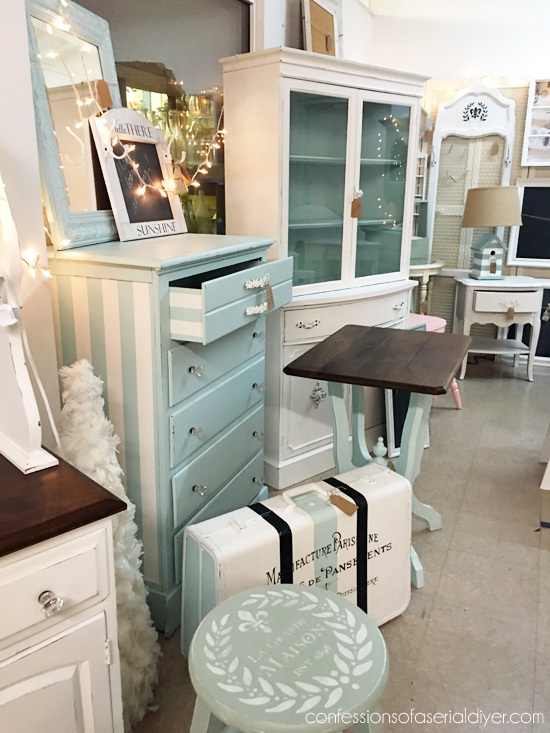 Great find and beautiful redo! Christy, you do such nice work. 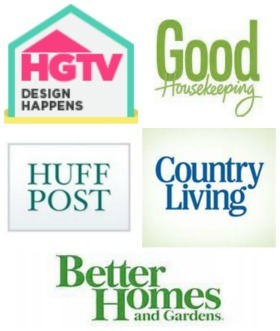 I am so pumped about getting some projects done this winter thanks to your inspiration! The weather just has to get nasty enough to send my gardening self indoors. Right now…I’m using leaves as mulch on some new beds for the spring. 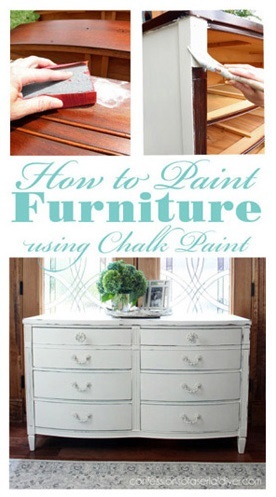 Can’t wait to try your homemade chalk paint. Come on winter! The paint really gave this piece new life. Great job! 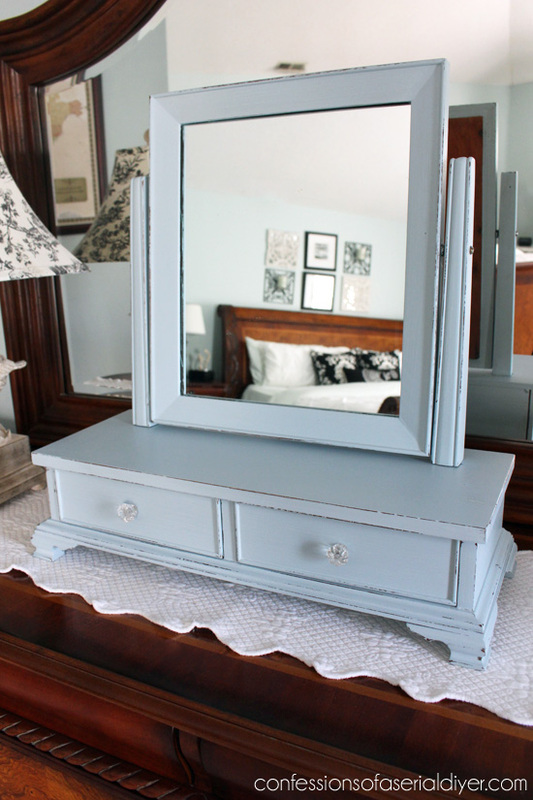 You did a great job on you old shaving mirror, Christy and if that ring ends up really annoying you you could always decoupage an old love letter, card or postcard in it’s place for an easy coverup….romantic and nostalgic! I love this idea. 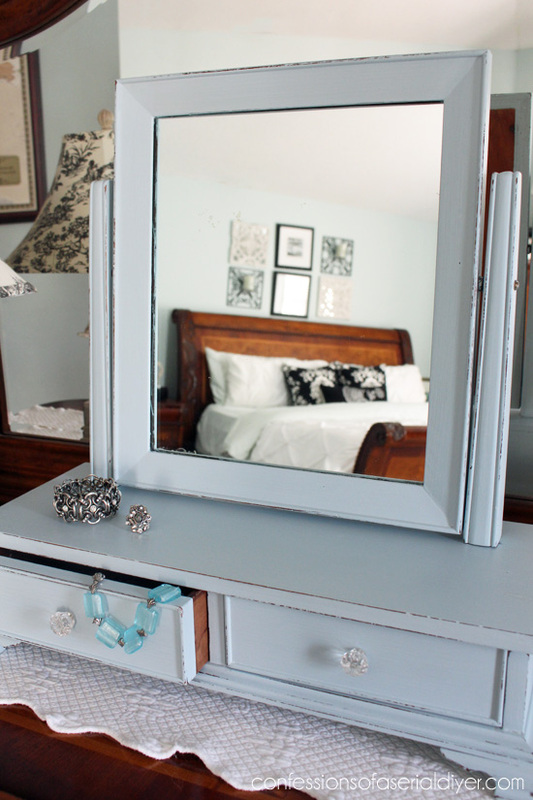 You could put an old love letter on the back of the mirror or the pretty contact paper to glam it up from every angle. I also Love the new draw pulls. 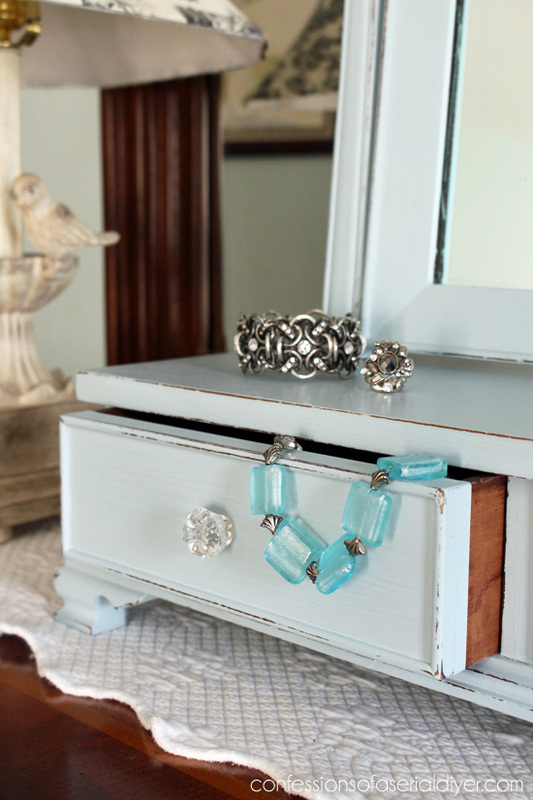 Love it Christy – the color is gorgeous! I got my calcium carbonate so all I have to do is make a trip to Home Depot to get me some Behr 🙂 Mr. Frugalista a.k.a. 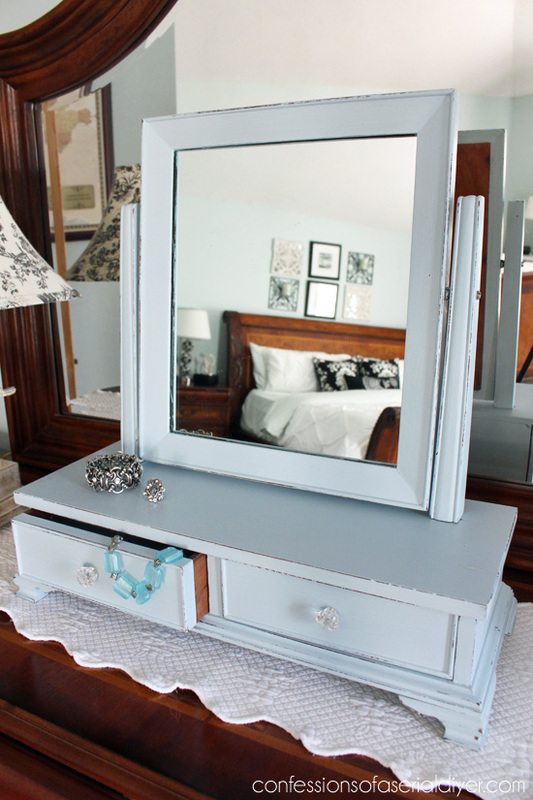 my furniture buyer came home with one of these last night, minus the mirror 🙁 Where did you buy that pretty contact paper? All I can ever find is the ugly stuff. 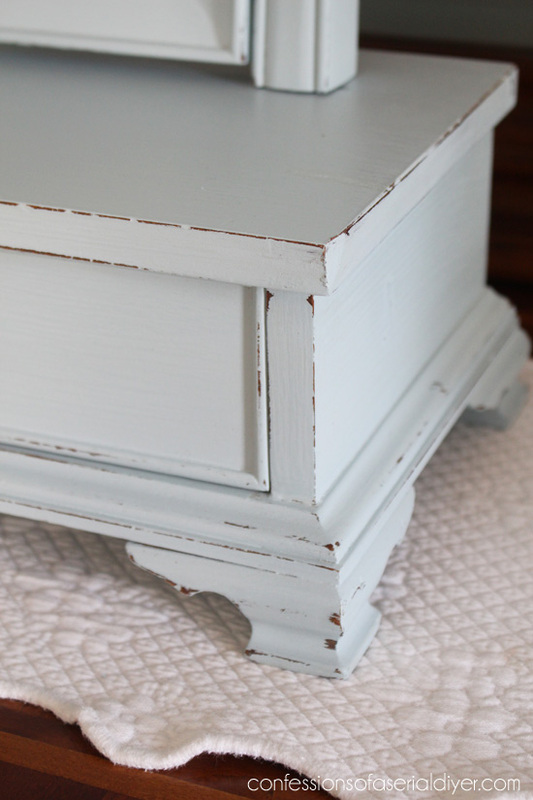 Isn’t it amazing what some paint and alittle time can do to change a piece and give it a different and new life. Great job. 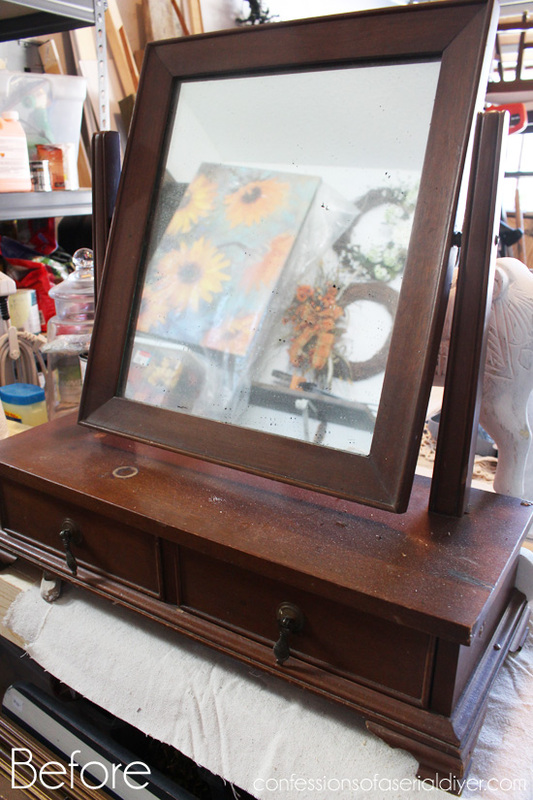 I would have grabbed this piece for $5 too! I have the perfect place for it in my bedroom! LOL. Loved the way it turned out. Wow, what a difference a little paint can make. I love a good bargain especially when the “after” turns out as nice as this. Wow! What a great job Christy. That is a fantastic transformation.